I can remember driving over to Apple’s Maiden, NC Data Center just after it was completed in 2011. I was working on a project not too far away and thought I would try to get close enough to snap a couple of pictures. Nope. It was basically invisible from the road, hidden by trees and earth walls out front. It was also not inviting, from a security perspective. You can read about my little joyride almost seven years ago here. However, one thing I did see that day was one of Apple’s first forays into Green Energy. Or at least the humble beginnings of it. 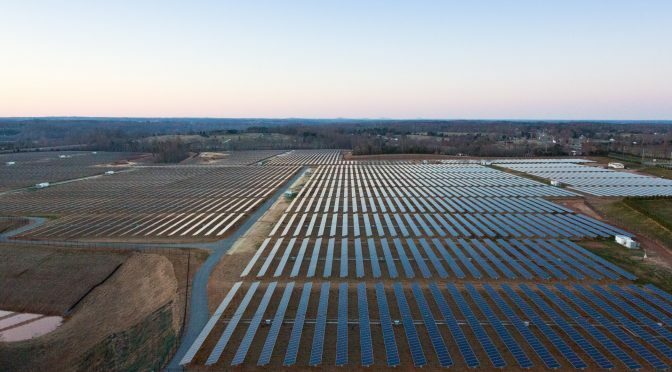 They had already begun construction of a large solar farm to power the data center just across the street. 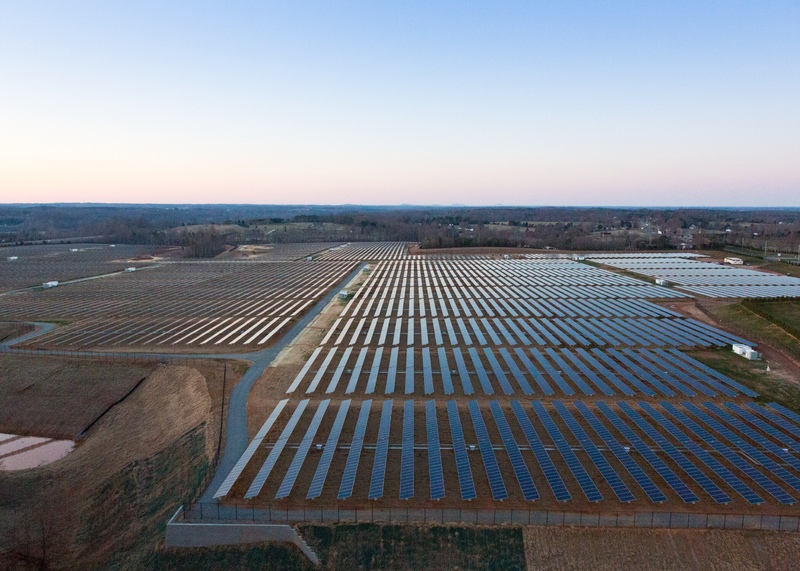 Unlike the data center, the few already-installed solar panels were clearly visible from the road.